When you first begin listening with your hearing implant, you may be surprised at all the different sounds there are in your world. There are some sounds which are important and need to be attended to, such as alarms and moving cars at a crossing. Other sounds can be background noise and don’t require a response. In this post we will talk you through recognizing all the different sounds in your environment, the elements of sound, and tips for analyzing sounds in your environment. 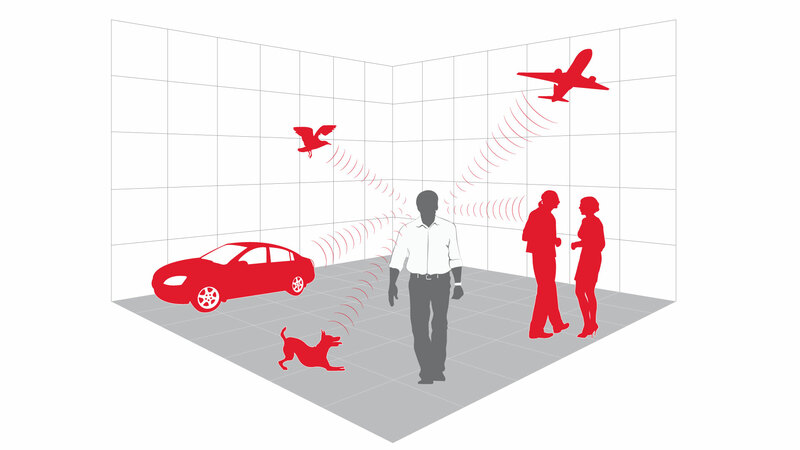 People hear, analyze, and react to various sounds throughout everyday interactions and experiences. A good example is the range of sounds we hear when sitting at home using a computer. Some of these are unrelated sounds, which are not connected to you, such as the fan or a vehicle passing by your house. Others are related sounds, which involve you, such as the keyboard when you are typing and your chair creaking when you move. It’s important to focus on detecting, analyzing and identifying the sound, so you know how to react. While the fan and keyboard sounds can be ignored, the passing car may indicate someone is coming to visit and it’s time to put the kettle on! There are various qualities in a sound that help us decide how to react to it. The most important of these are the pitch, loudness, number of pauses, repetitions, and length. The pitch of the sound—bright highs or deep lows—helps us understand the source of the sound. This can helps us to recognize if the sound is a male or female talking. Or, whether the sound is coming from an empty bottle or a bottle filled with water. The loudness of the sound helps us to gauge the distance of the sound source and if it the sound source is moving. For example, knowing whether a car horn sound is coming from nearby or further away will help you know to move off the road or not. The pauses, repetitions and length of a sound may assist with recognition. For example, a recurring or constant sound like a bell in school may indicate a break time, whereas a single sound may be the microwave completing a heat cycle. As you listen to more new sounds with your hearing implant, you will begin to prefer certain sounds. For example, you might say: “I like to hear sound from a rock guitar because it makes me feel young again”, while someone else might say “I do not like it because it is too noisy”. The preferences we have are mostly decided by the emotion we attach to each sound. It can also be useful to know your preferences when planning future learning activities with your hearing professional. Create a listening diary: recording all the sounds you can hear and recognize in different environments will help you to be prepared when you return to that location, so your reactions will be faster. Explore the environmental sounds made by objects around the home: become familiar with all the sounds that are likely to occur at home to help you recognize them more quickly over time. Listen to different kinds of music and individual musical instruments: What do you like to listen to? Do you have a favorite instrument? Experiment and see if you can find a preference to work on music appreciation with your hearing implant! Learn the voices of the people around you: Listen to your favorite people like family and friends, and learn to recognize their individual voices. Like this post on new sounds with a hearing implant? Want to make sure you get all the latest articles from the MED-EL Blog? Subscribe now! Shabnam Fathima M is a clinical specialist for rehabilitation at MED-EL India and an Speech Language Pathologist by profession. 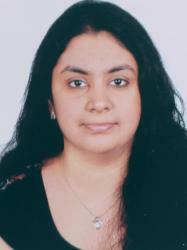 She is based out of Chennai, India and travels to different CI programs in India, Nepal, Srilanka and Bangladesh. She enjoys working with children with CI and complex needs and adult CI recipients. Also, she focuses on diagnostic therapy principles for children with communication disorders. Rehab At Home: What Is “Acoustic Highlighting”? Rehab At Home: What Is “Auditory Memory”? Fill out our simple contact form and we'll get in touch with you.